Grab your cell phone (if it’s not already in your hand) and go to your most recent calls. Scroll through your list. How many calls did you receive? How many minutes did you spend talking? What about texts – how many have you sent today? What if I told you, that every time you grab your phone, whether it be for a call, a text or to browse your social media accounts, you’ve held the fate of a gorilla in the palm of your hand? A little heavier than you thought? The topic – not the gorilla. 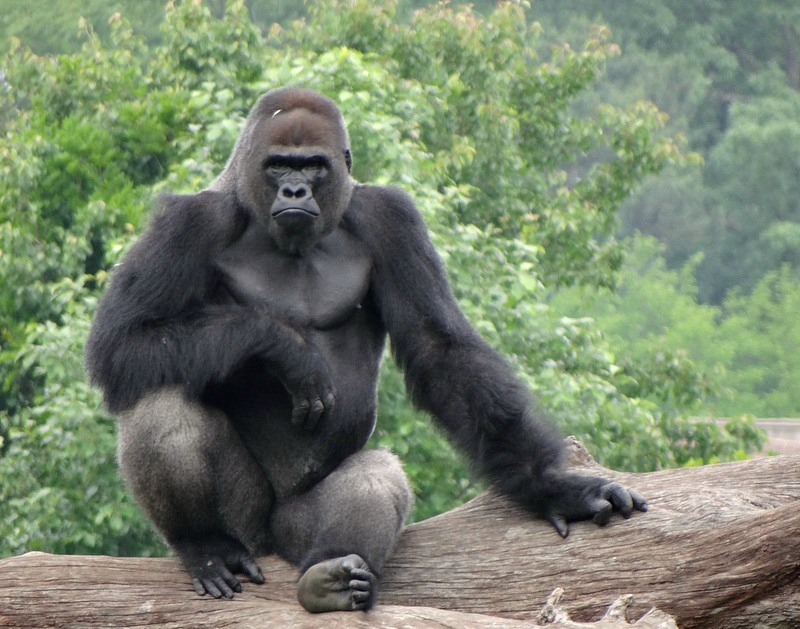 While gorillas can weigh upwards of 500 pounds, a cell phone typically only weighs about 4 ounces. But the actual weight of this issue is so much larger than what can be measured with a scale. 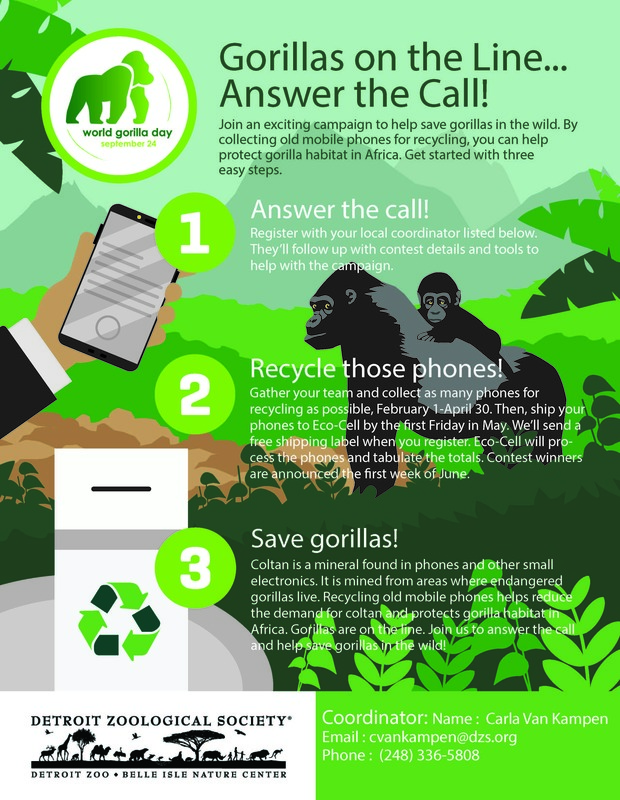 While materials like plastic, nickel, copper and zinc are common in most cell phones, there’s one rare and valuable mineral, coltan, in all cell phones and small electronics that directly impacts the survival of gorillas. Eighty percent of the world’s supply of coltan is found in Central Africa, which is prime gorilla habitat. Imagine having the cell phone equivalent of gold in your backyard. There would be a lot of people showing up at your house with shovels in their hands and dollar signs in their eyes. That’s the situation for coltan and the gorillas. 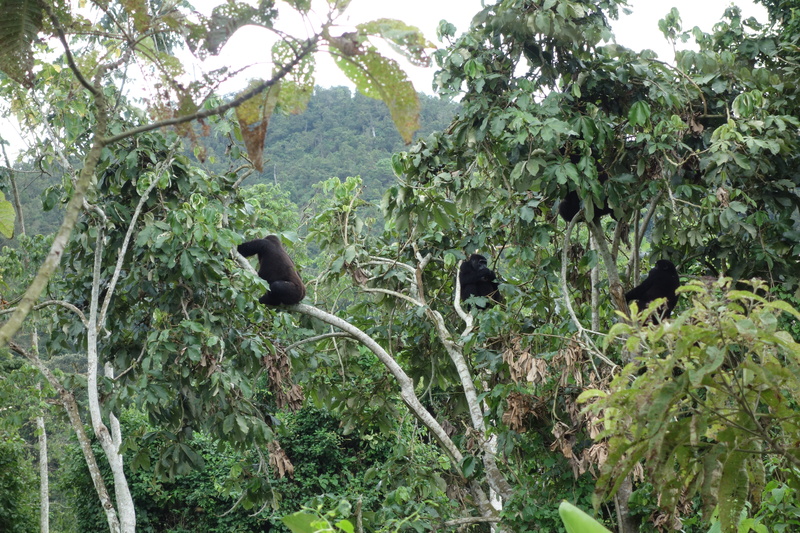 Coltan is luring miners into the forests, which causes trouble for these animals. Their habitat is becoming logged and dug up so the miners can reach the coltan, and people are bringing in diseases, which the gorillas can easily contract. 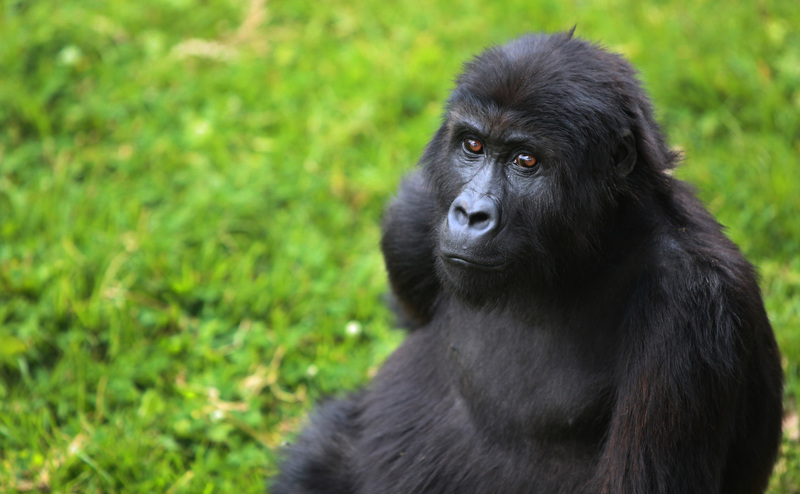 People are also illegally hunting gorillas – either to eat, sell or trade for more supplies. The more cell phones people buy, the more coltan needs to be mined, and more gorillas are becoming homeless. With their numbers dwindling in the wild as it is, let’s work together to save them. The Detroit Zoological Society is partnering with other accredited zoos within the Association of Zoos & Aquariums to launch a cellphone recycling program from February 1 through April 30. Our collective goal is to gather 10,000 mobile phones and engage 10,000 children and community members to help save gorillas. In addition to mobile phones, we will also accept iPads, iPods, cameras, chargers, etc., because they, too, contain coltan. Fewer than 20 percent of old cell phones are recycled. So, whether yours are collecting dust in the garage or in a junk drawer somewhere in your house, consider bringing your old phones and electronics to the Detroit Zoo during the next three months. Donation bins will be set up at the Main Entrance; you can also deliver them to the guest relations associates manning the ticket booths. We’re also looking for local schools to join us in this venture and make a direct impact on saving species. 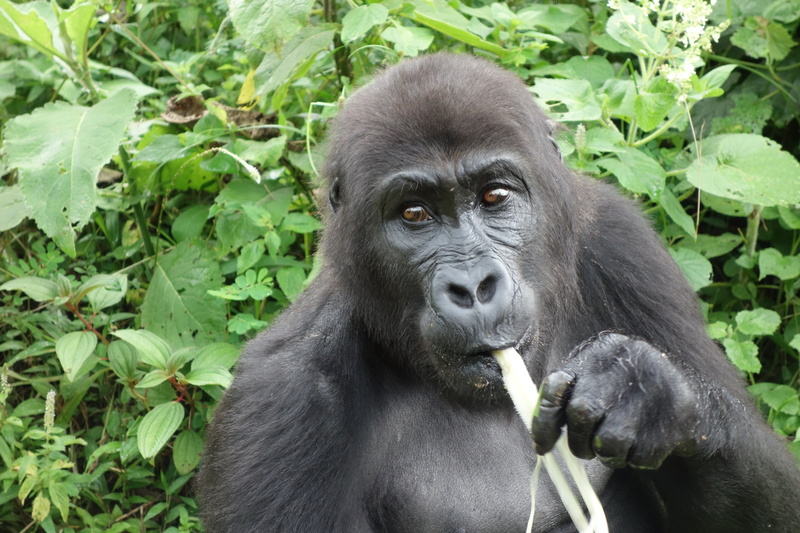 If your school or classroom is interested in helping us protect gorillas, you can email cvankampen@dzs.org. 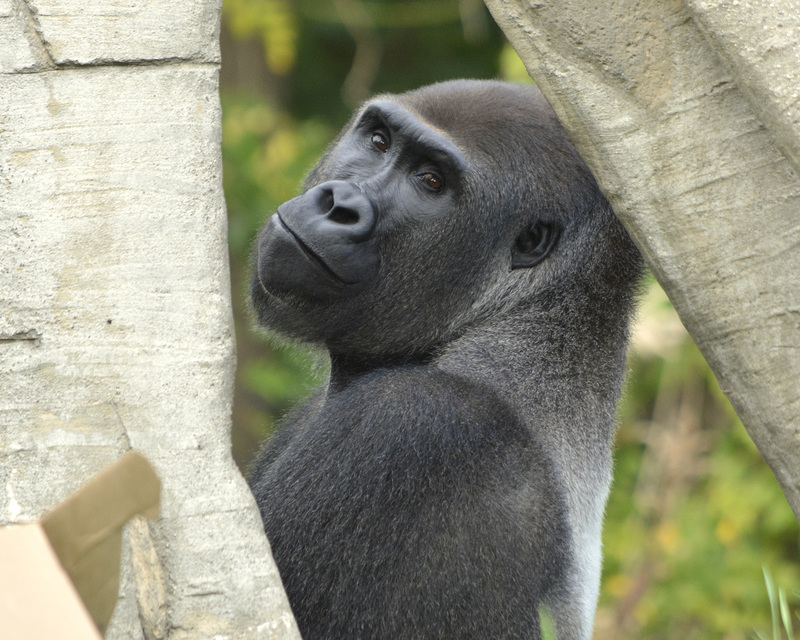 Also, mark your calendar for our World Gorilla Day celebration at the Detroit Zoo on Tuesday, September 24. – Aaron Jesue is a zookeeper for the Detroit Zoological Society. I recently had the opportunity to travel to the Gorilla Rehabilitation and Conservation Education Center (GRACE), located in the eastern part of Democratic Republic of Congo (DRC). GRACE is truly a special place – it is the only facility in the world that cares for highly endangered Grauer’s gorillas that have been rescued by wildlife authorities after being illegally captured by poachers and traders. 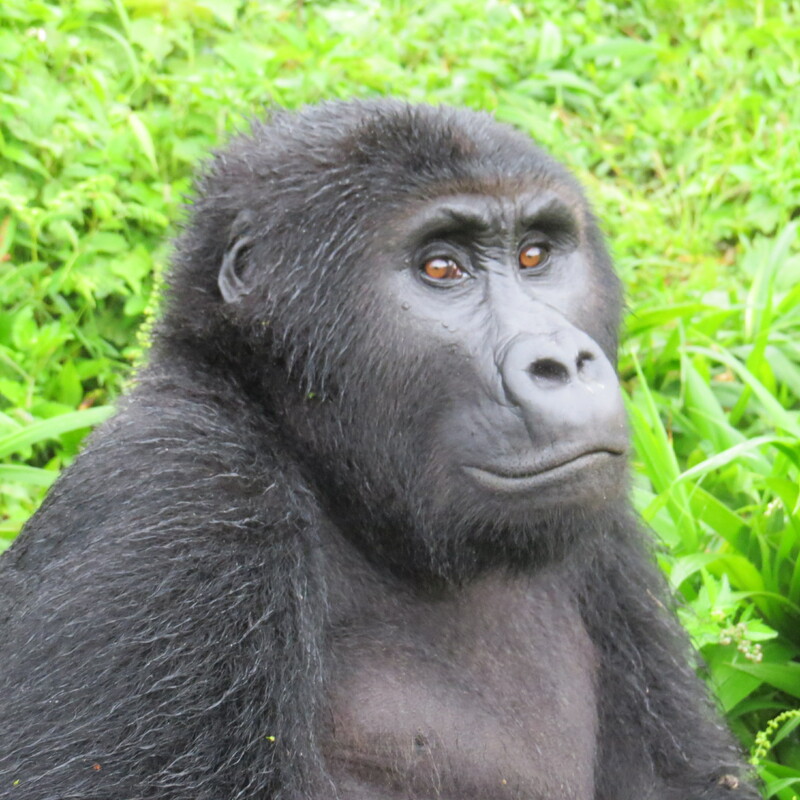 Grauer’s gorillas are endemic to this region and only approximately 4,000 remain in the wild. There are currently 14 gorillas residing at GRACE, where a dedicated Congolese staff provides daily care and monitors the group while they explore a 24-acre forest – the largest gorilla enclosure in the world. GRACE is overseen by a dedicated board of directors, which includes Ron Kagan, Detroit Zoological Society (DZS) CEO and executive director, who has also served as board chair. In addition to Ron’s valuable leadership, the DZS’s involvement with GRACE also includes financial and staff support. In 2015, Ron helped secure funds for a new night house enclosure for the gorillas, which I was able to see in operation while I was there. 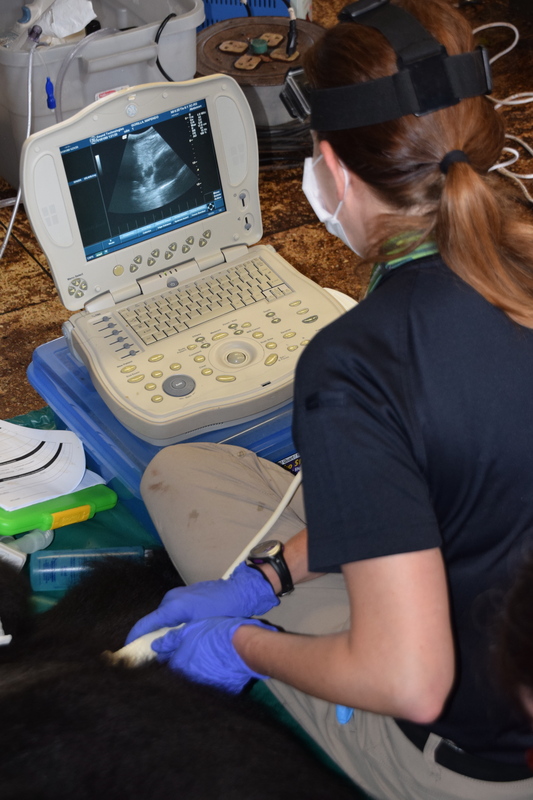 Also in 2015, DZS Director of Animal Health Dr. Ann Duncan traveled to the Congo to perform health examinations on 12 gorillas, which had never been done before. 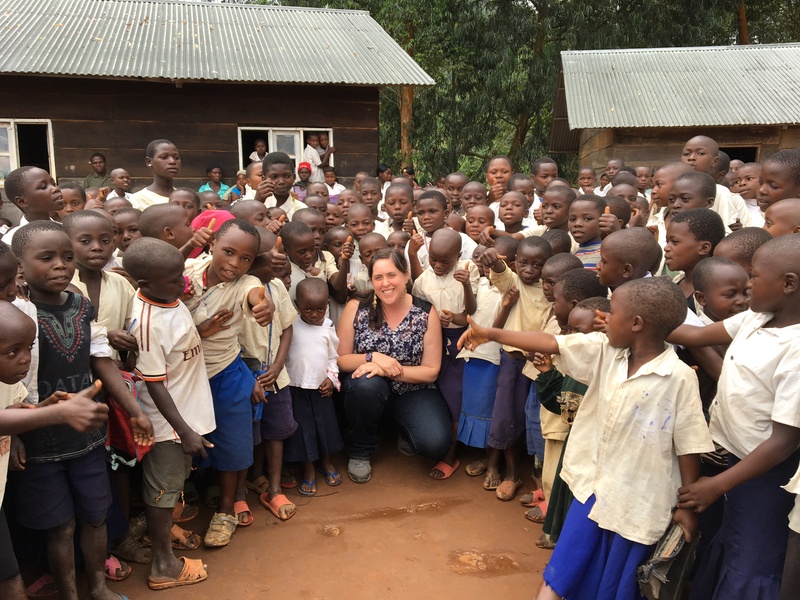 I traveled to the DRC with three staff members from Disney’s Animal Kingdom and the executive director of GRACE as part of the GRACE Education Advisory Group. We carried quite a bit of luggage with us, which included a number of veterinary medicines and supplies provided by the DZS. 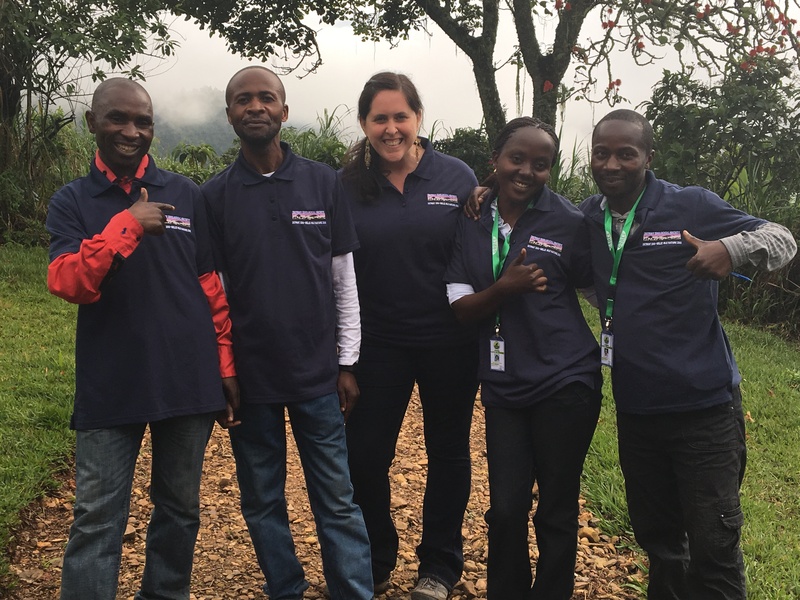 While at GRACE, we worked extensively with the Congolese education team. We observed current programs, provided our feedback and facilitated trainings focused on methodology, messaging and differentiating instruction to meet the needs of their various audiences. We also began to draft a strategic plan for their education programming and evaluation efforts as they move forward. 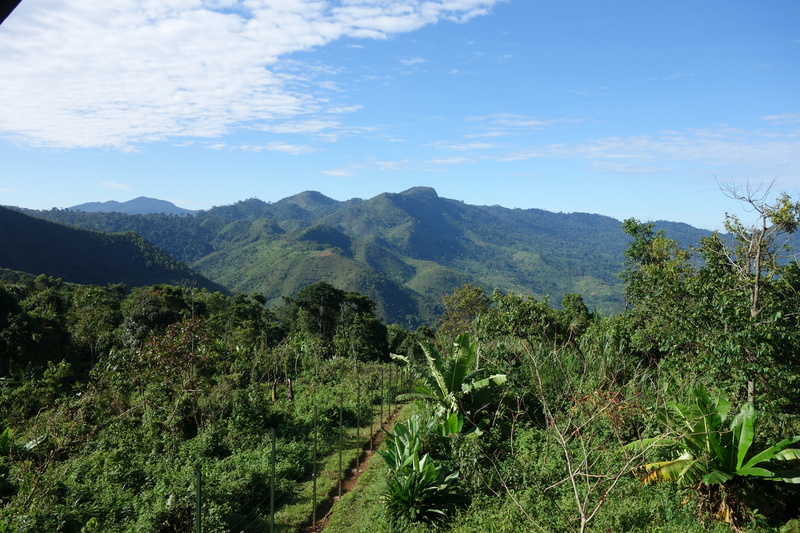 The team’s reach is vast; not only do they work with primary and secondary school groups onsite and in local villages, they also conduct programs with community groups and the military, to name a few. GRACE doesn’t have open visitation hours, so all of the groups that they work with have been scheduled by the educators. Throughout all that the team does, there’s a common theme of instilling reverence and respect for not only gorillas, but all animals and the environment. They work with people of all ages to help foster behavioral changes that result in a positive impact for people, animals and their shared home. I can’t say enough about the amazing people that I met throughout the course of our visit. The team at GRACE is truly a hard-working, dedicated, passionate group of people and they give tremendous hope for the future. Additionally, on our last day at GRACE, we were fortunate to take part in a tour of the local village, led by the women’s cooperative, where we met many members of the community. We were invited into homes to see cooking demonstrations and to learn about some of the small-scale businesses they own and operate. We also visited Muyisa Primary School, where we were greeted with song and dance and hundreds of smiling faces. Everywhere we went, people were kind and welcoming. They definitely made it difficult for me to leave. As we move forward, the Education Advisory Group and the Congolese educators will continue to meet by way of monthly conference calls. We’ll continue to advise efforts and offer additional training. I’ll also be working on developing humane education curriculum and projects for the children’s conservation clubs which currently exist in five communities. Stay tuned for more to come on that! – Lisa Forzley is a curator of education for the Detroit Zoological Society and oversees the Berman Academy for Humane Education. The Detroit Zoo was recently honored along with eight other zoos with the 2016 International Conservation Award from the Association of Zoos & Aquariums (AZA) for our work with the Gorilla Rehabilitation and Conservation Education (GRACE) Center. Located in the Democratic Republic of Congo, GRACE is dedicated to rescuing orphaned Grauer’s gorillas, which are among the most critically endangered primates in the world. As the conservation and preservation of wildlife is paramount to the mission of the Detroit Zoological Society (DZS), we couldn’t be more proud of this partnership or of this achievement. Sadly, the Grauer’s gorilla is endangered due to widespread habitat destruction, poaching and threats associated with the ever-growing human population, caused in part by regional conflicts and government unrest. However, GRACE bravely fights against this, taking in the gorillas that have been separated from their birth families and/or confiscated from illegal trading. The rescued animals are provided nutrition and medical care as they explore the facility’s 370 acres – the largest gorilla enclosure in the world – situated within a 1,235-acre forested area of Central Africa. The hope – and the goal – is that these majestic animals will also learn the skills necessary for an eventual return to the wild. Founded in 2009, GRACE is overseen by a dedicated board of directors, which includes Ron Kagan, DZS CEO and executive director, who has also served as board chair. In addition to Ron’s valuable leadership, the DZS’s involvement with GRACE has also included financial and staff support. In 2015, Ron helped secure funds for a new night house enclosure for the gorillas. 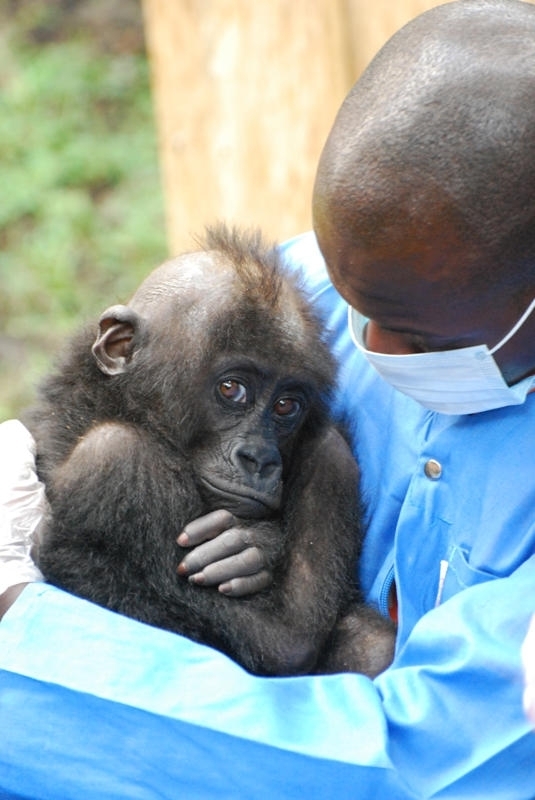 Also that year, DZS Director of Animal Health Dr. Ann Duncan traveled to the Congo to perform health examinations on 12 gorillas, which had never been done before. This amazing conservation, welfare and humane education initiative is a wonderful collaboration of important organizations working together with a very special Congolese community to ensure that this population of extremely endangered gorillas survives. The AZA’s International Conservation Award annually recognizes accredited AZA institutions and conservation partners that make efforts to restore habitats, preserve species and support biodiversity. Our zoo partners who join us in receiving this award include the Los Angeles Zoo, Utah’s Hogle Zoo, Jacksonville Zoo and Gardens, Nashville Zoo, Houston Zoo, Dallas Zoo, Sedgwick County Zoo and Disney’s Animal Kingdom. We are looking forward to continuing our partnership with GRACE and dedicating our efforts to ensure the safety of the beloved Grauer’s gorilla for generations to come. This partnership is arguably the most exciting, unique and promising conservation, welfare and humane education initiative the Detroit Zoological Society has ever been involved with. It is hard enough for us, as humans, to understand how others are feeling. But imagine how difficult it is for us to know how animals are experiencing the world around them from an emotional standpoint. Other species perceive the world very differently than we do and cannot communicate with us using words. Finding new ways to assess the emotional lives of animals is critical to advancing our understanding of animal welfare. It is also incredibly important to develop methods that are non-invasive, thereby not affecting the animals during the process. Infrared thermography is a potential way for us to do this. 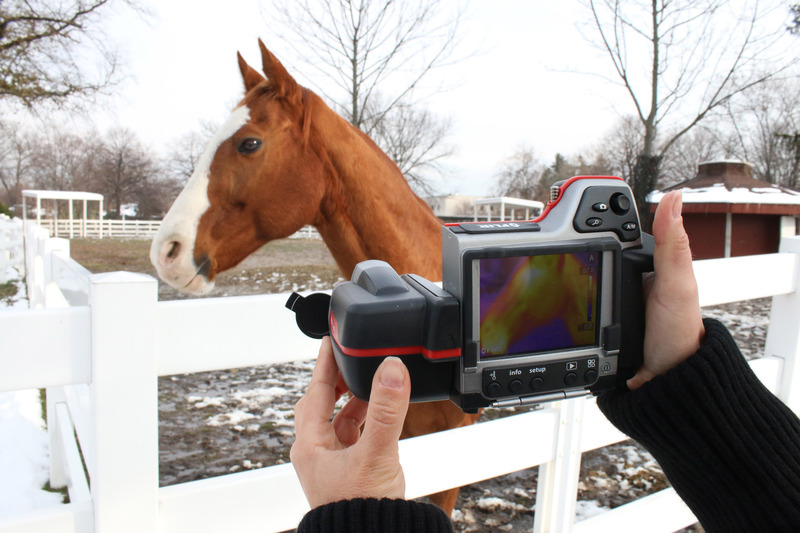 Infrared thermography (IRT) is technology that uses a camera to remotely measure the temperature of an object. The images, called thermograms, show different colors to represent various temperatures, and this allows measurement to be taken without having to touch the object. It has been used in a variety of ways including in buildings and in diagnostic medicine in both humans and animals. Some scientists have also been using it to help assess aspects of animal welfare. Animal welfare encompasses the physical, psychological and emotional experience of an animal. It is important to use measures that look at all of those components to understand how an individual animal is faring. The body’s response to certain things, such as stress and positive experiences, can have an impact on temperature. This means that in some cases, changes in the temperature of body parts, such as the eyes, can tell us how an animal is responding to an event.